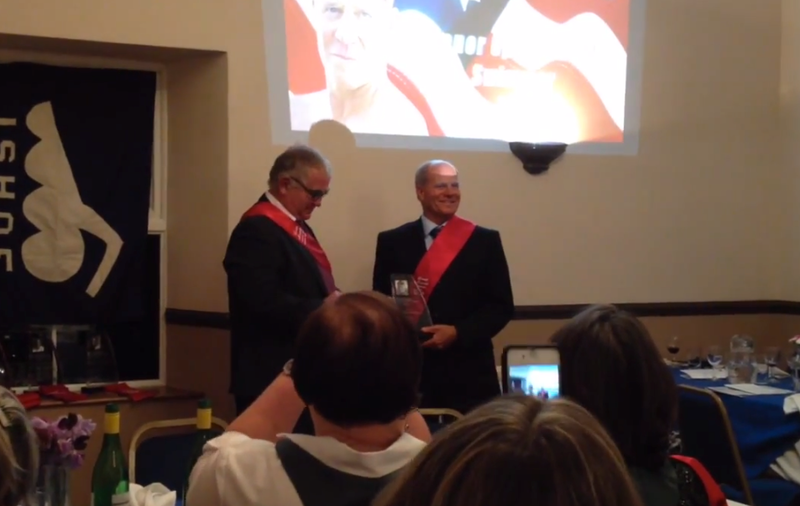 David is recognized by the International Swimming Marathon Hall Of Fame in Scotland, September, 2014. David was one of the world’s most accomplished long-distance channel swimmers. With more than a 35-year career, David completed numerous channel swims that no-one had ever done. During his swims of up to 15 hours plus, he battled and defeated deadly whirlpools, thousands of jellyfish stings, hot water, cold water, nasty currents and highly uncooperative tides and weathers. David’s goals were never been about speed, instead he decided to make his mark in swimming by being the first to complete channel swims around the world. So he shaped his swimming career not around speed or time, but rather longevity – years of swimming. Beth was David’s event manager and coach on every swim. Her skillful knowledge and attention to detail ensured the preparation, planning, and logistics went as expected.